"Joseph Interpreting the Dreams of Pharaoh's Butler" by Crign Hendrick Volmarign was featured in the tour. 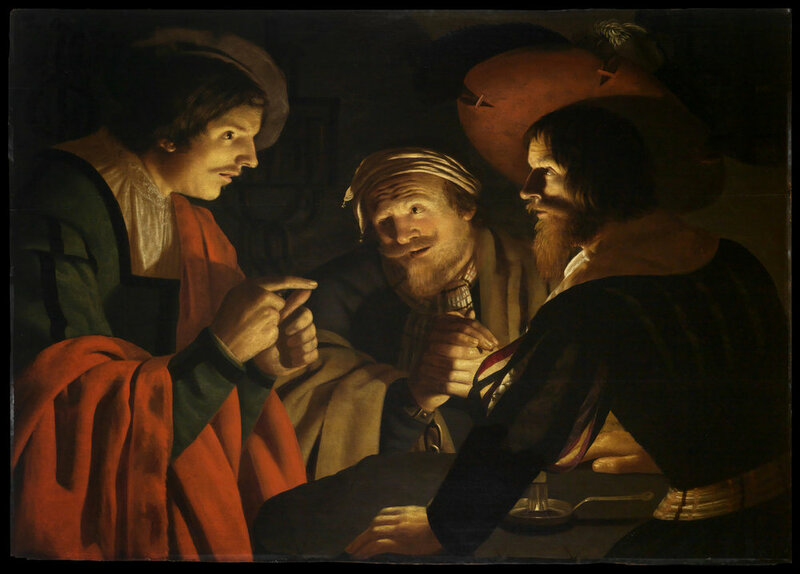 The first piece, titled “Joseph Interpreting the Dreams of Pharaoh’s Butler,” was painted in 1631 by Dutch artist Crijn Hendricks Volmarijn. Volmarijn’s painting explores the unknown territory of the subconscious. Positioned in dim light, the painting depicts prisoners awaiting to hear their fates, which Joseph can see in his dreams. The painting captures the moment when a butler is told he will leave prison, while a baker is told he will be hung. The striking contrast of emotion on the men’s faces left many on the tour startled and speechless. Kiefaber curated a tour showing the variation of dreams, both in the human subconscious and in everyday existence. Student guide Ivy Armstrong ’17 will organize the next Sightline tour, titled “Celestial Bodies,” at 1:30 p.m. on Saturday Oct. 14.